It is important as a candidate, that you understand the information that you have to disclose and what your rights are, when a pre employment check is being conducted. Here are 6 FAQ’s about pre employment checks. What does a pre-employment screening check consist of? Most companies will look into social security verification, criminal history check, employment verification and an educational verification. When does the pre-employment screening process take place? As an applicant, you will have to provide your consent for a pre employment check at the time you apply for a position. Usually, if you are shortlisted for the position, you will be informed by the company’s HR team that your employer background checks is being processed. 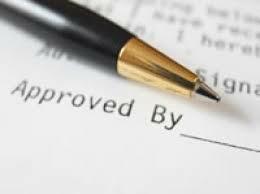 When do I need to submit authorization and disclosure forms as part of the pre-employment screening program? Authorization and disclosure forms will be requested by you, when you have been shortlisted as one of the shortlisted/final candidates for the position. Usually an extensive background check will take about 3-5 working days. How will I learn the status of the screening? Usually once the screening process is completed and all aspects are clarified, the HR team of the organization will contact you with a job offer. 6. What happens if I fail the pre-employment screening? If you fail the pre-employment screening the HR team will contact you and you have the right to ask them the reasons for the rejection. Tenant Screening Services, LLC provides variety of background checks and services for landlords and employer. Get an instant employment background check before your next hire.